Popular Science selected Nokian Tyres’ Hakkapeliitta 9 – the northernmost tire manufacturer’s flagship winter tire - for its 2017 Best of What’s New Award. The Best of What’s New honors are awarded to 100 winners across 11 categories. Recipients of this award must have a product or technology representing a significant step forward in its category. Winners will be featured in the November/December special issue which hits newsstands Oct. 17. The Nokian Hakkapeliitta 9 showcases Nokian Tyres’ leadership in developing the most advanced winter tire yet. The Nokian Hakkapeliitta 9 was developed after countless miles of testing over a four-year period, and was fine-tuned to provide industry-leading safety, comfort and performance in even the most extreme winter conditions. The Nokian Hakkapeliitta 9 features an adaptive new stud technology to ensure the vehicle behaves safely and logically in severe weather. It also has a new tread pattern offering stable bare-road handling, comfortable silent riding and improved fuel economy. 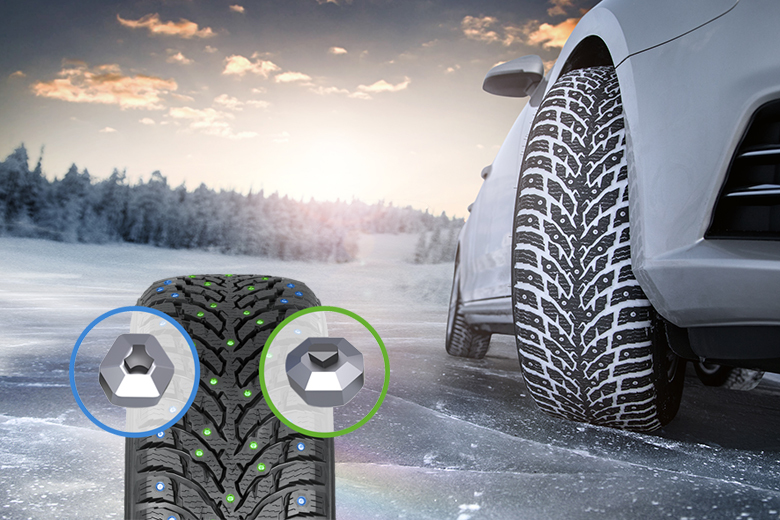 The Nokian Hakkapeliitta 9 additionally features a new type of eco-friendly winter tread compound providing impressive winter grip and durability. The new compound contains silica, canola oil for improved tear resistance, natural rubber and the new Green Elasto Proof biomaterial that keeps the compound elastic at low temperatures. The strong and durable chemical bonds allow the tread compound to offer the best possible grip year after year, even as the miles add up. Director of Marketing, Nokian Tyres, Inc.